In 1877, Captain James Makee obtained a concession from King Kalākaua to build a sugar mill at Kapaʻa and establish a plantation there. He was the first manager of the Plantation, and had agreed with Kalākaua to grind in his mill all the cane the King and his Hui Kawaihau had in nearby fields. 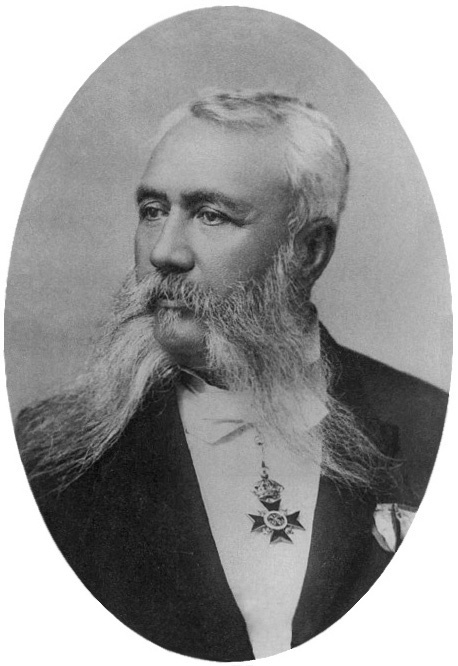 Upon Makee’s death in 1878, his son-in-law, Col. ZS Spalding took over management of the both plantations – Keālia and Kapaʻa – and renamed the operation Makee Sugar Company. The Kapaʻa mill was closed in 1884, and all processing was done in Keālia. In 1933, the Līhuʻe Plantation Co. purchased all of the remaining/outstanding Makee Sugar Co stock and in the next year the Keālia mill was dismantled and combined with the Līhuʻe factory. There were several subsequent managers at Makee Sugar Co; one of them was William Wallace Blaisdell. The Blaisdell Hotel was designed by Emory and Webb, the noted architectural firm formed in 1909 with the association of Walter L Emory (“the practical building man”) and Marshall H Webb (“in charge of the designing;”) they were prolific and sought after designers. 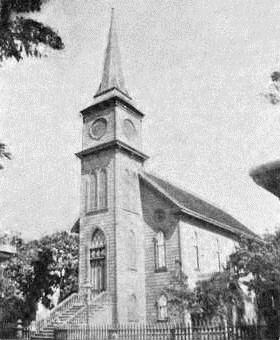 In addition to the Blaisdell Hotel, they designed the Hawaiʻi Theater, Union Trust Co., Central Union Church, Love’s Bakery, the Palama Theater, the remodeled Liberty House, Castle Hall dormitory at Punahou, Advertiser building, Cooke Art Gallery at Punahou, Elizabeth Waterhouse Memorial Tank (pool) at Punahou, James Campbell building and numerous other buildings connected with Oahu College, the Kamehameha Schools and public institutions. Later (1914,) the hotel was leased to and operated by J Francis Child; he opened Child’s restaurant within the facility in connection with hotel in 1920. Later, a later hospitality icon (and no apparent relation to the earlier operator,) Walter Dudley Child, Sr (who first worked in the agriculture industry with the Hawaiʻi Sugar Planters Association (HSPA,) left HSPA and entered the hotel industry, purchasing the lease on the Blaisdell Hotel in downtown Honolulu in 1938 along with his business partner, Dr Donald Burlingame. Today, in addition to independent shops and offices, the Blaisdell (1154 Fort Street) is part of the Honolulu Downtown campus of Hawaiʻi Pacific University (which in 1968 moved to Fort Street.) Here they house the Sea Warrior Center, 1st Floor; Athletics Training Room, 2nd Floor; Faculty Offices, Suite 204; Kalamalama (Student Newspaper), Suite 314; and Mail Processing and Distribution Center, Suite 319. 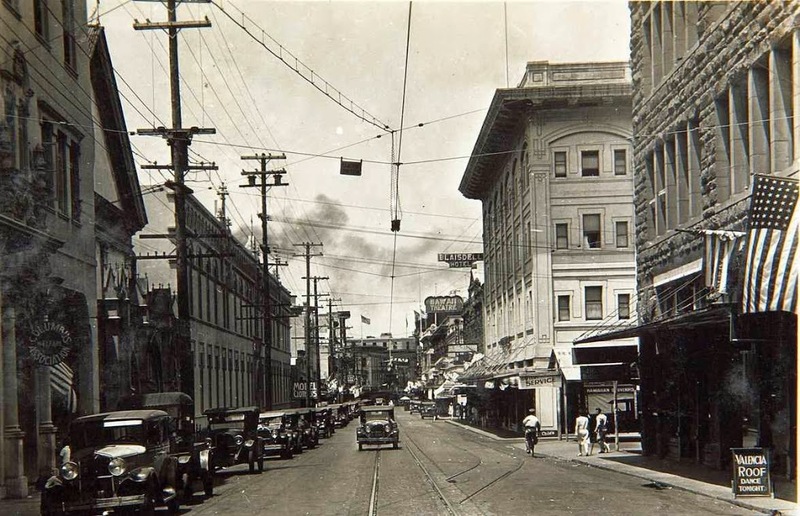 The image shows Fort Street and the Blaisdell Hotel. In addition, I have added other images in a folder of like name in the Photos section on my Facebook and Google+ pages. McKinley High School (Oʻahu’s oldest public high school) was officially established in 1865, as the Fort Street English Day School by Maurice B. Beckwith. In November 1869, the English Day School moved from the basement of the old Fort Street Church to a new stone building on the corner of Fort and School Streets. In 1907, Honolulu High School moved to the corner of Beretania and Victoria Streets. The school’s name was then changed to President William McKinley High School, after President William McKinley, whose influence brought about the annexation of the Hawaiian Islands to the United States. That former McKinley High School building is still there. McKinley was later relocated, the old site (Beretania and Victoria) was occupied by the Linekona (“Lincoln”) Elementary School (that later relocated to the Makiki District.) In 1990, the building was renovated as the “Academy Art Center,” the largest art private school in Hawaiʻi, under the administration of the Honolulu Academy of Arts. With growing enrollment, the school quickly outgrew its new building and a new and bigger school was necessary. In 1921, the present site on King Street was acquired through territorial condemnation. In 1923, the school was moved from the Beretania/ Victoria site to its present location, nearby on King Street. The school’s swimming pool was the students’ pride of the 1920s because they played an active part in its construction. Armed with picks, shovels and determination, the students began the excavation for a pool in 1923. The pool was completed in 1926 and named in honor of the late Honolulu Mayor Fred Wright. Through the 1920s, more than half of the high school students in Hawaiʻi attended McKinley. December 8, 1941 the US Government commandeered the nearby St Louis campus for the use of the 147th General Hospital. Elementary students attended classes at Saint Patrick School and St Louis high school classes shared classes at McKinley High School. The Second World War proved to bring other challenges to the students of McKinley. They wanted to do their part in the nation’s war effort. A savings bond drive was conducted, and the students responded by buying over $200,000 in bonds and stamps. The overwhelming success of the bond drive instigated a new project; the goal was to purchase a fighter bomber for the US Air Force. Students raised an additional $333,000 in war bonds to cover the cost of a Liberator bomber. In February 1944, the plane, christened “Madame Pele,” was presented to the US Air Force. With the ending of WW II, Veterans’ School was begun on campus to help the McKinley young men who had left school for the war. One hundred and five veterans came back to McKinley and finished their education. In the 1960s, the students had an opportunity to choose from a wider range of subjects in preparation for their post-high school education. McKinley continued to be a comprehensive public high school in Hawaiʻi. Comprehensive high schools are meant to serve the needs of all students; typical comprehensive high schools offer more than one course of specialization in its program and usually have a college preparatory course and one or more scientific or vocational courses. The school colors, black and gold, were selected when McKinley High School was very young. Gold was chosen for McKinley’s close association with Hawaiian royalty. 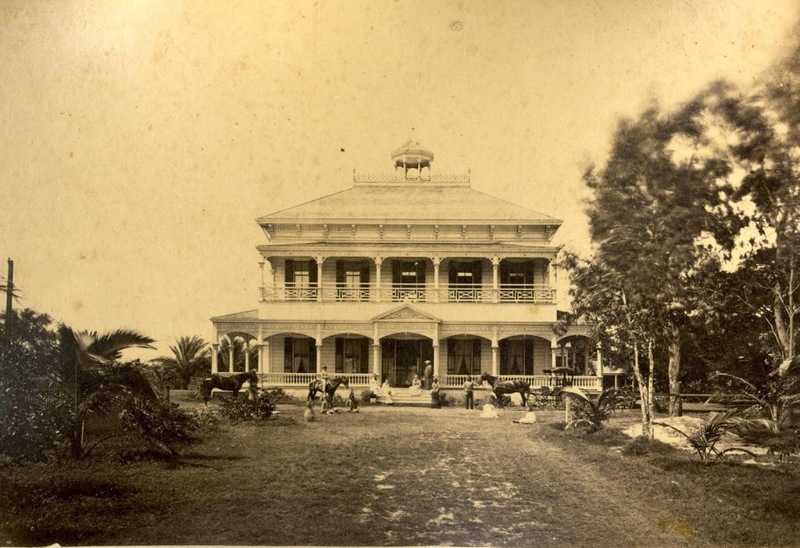 Not only was the school started during the reign of Kamehameha V, but also Honolulu High School, the predecessor of McKinley High School, used the home of Princess Ruth for a school house. In searching for a color to compliment the gold, black was agreed upon. Part of the reason for the selection was that many McKinley graduates continued their education at Princeton University, whose colors are also black and gold. The nickname, “Tigers”, was possibly derived from the close association with Princeton. Another proud aspect of McKinley’s history is the Code of Honor written in 1927 by student Mun Chee Chun. The code expressed the high standard of behavior which McKinley students tried to maintain. The original plaque of the code is proudly displayed in the main foyer of the Administration building. In 2011, the DOE released a master plan for the $121-million redevelopment of the McKinley High School athletic complex that includes construction of a new gymnasium; relocation of the track/football field; construction of a girls’ softball field and locker room; relocation of the baseball field; replacement of the tennis courts and construction of an indoor rifle range. The image shows the Fort Street Church, initial home of what became President William McKinley High School; in addition, I have added other images in a folder of like name in the Photos section on my Facebook and Google+ pages.